Volunteers are the heart of STAR Equestrian Center! Without their dedication, loyalty and hard work, it would not be possible for us to fulfill our mission. There are many individual reasons why people volunteer with us, but all provide the chance to join a thriving, nurturing community whose goal is to positively impact the lives of as many people with special needs as possible. Our volunteers come from all backgrounds and ages. 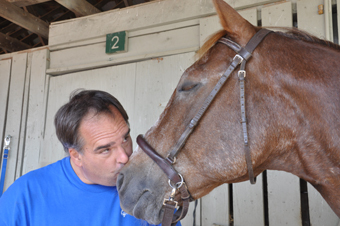 Many have little personal experience with horses or people with disabilities. 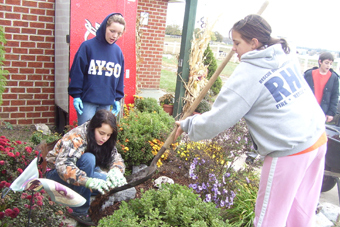 Some are teenagers who are earning service hours. Others are retired teachers, social workers or business people looking to give back. And some are lifelong horse people who feel the calling to help people understand how the bond between a horse and a human can change a life. While some of our volunteers have experience with horses or working with people with special needs, it is by no means a requirement. All of our volunteers, no matter their experience, attend an orientation to familiarize themselves with our safety and operational procedures. Program Volunteers: learn how to work safely with the horse on the ground and assist participants in grooming and tacking their mounts. They assist by leading horses or walking beside students (sidewalking) during classes. Horse leaders need a general knowledge of horses. Horse leaders may assist in preparing horses for classes (grooming and tacking) and are responsible for leading horses during class. Sidewalkers do not need horse experience. They are responsible for communicating with the students and offering them physical and emotional support. Program volunteers should be willing to commit to the same day and time each week and are required to attend our introductory volunteer orientation and training session. Barn/Equine Volunteers: assist with general barn chores and work directly with barn staff to care for the horses and get them ready for program (grooming and tacking). These volunteers should be willing to commit to a specified, consistent period of time each week. Riding volunteers are experienced riders who have passed an evaluation qualifying them to help us school and exercise our horses when they are not working in program. Classroom Lesson Volunteers work with instructors and students in our classrooms and barn, helping students learn about horses and participate in horse-related educational activities. Summer Program Volunteers serve as buddies to assist summer program participats in daily riding lessons, barn activities, art projects, nature activities and more. Farm/Facilities Volunteers: help with general maintenance, repairs and improvements of the facility, including fence repair, manure management, gardening and trail maintenance. Corporate and Civic Volunteer Groups: STAR Equestrian Center is very fortunate to partner with many corporate and civic groups seeking a meaningful volunteering experience. We welcome the help of local organizations and can assure you your efforts will have a lasting impact on the lives of hundreds of deserving students. Most group volunteer efforts involve farm projects that we design to enhance our students' therapeutic experience, benefit our therapeutic horses or help us maintain a safe and beautiful environment at STAR. We are also open to discussing other project ideas with your group. 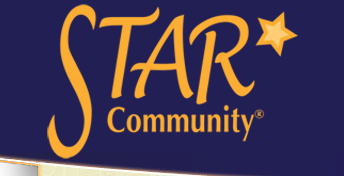 School Volunteers: STAR is often contacted by schools regarding volunteer opportunities for students in their vocational or special education programs. 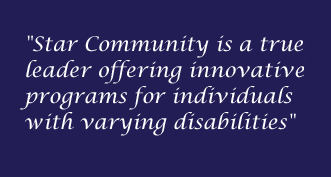 We have created a volunteer program with this goal in mind. All volunteers are required to attend our introductory volunteer orientation and training session prior to beginning their work. 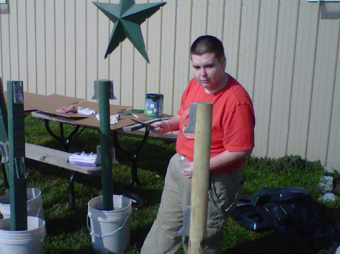 The minimum age for STAR program and barn volunteers is 13 years old. Please note that if you are a prospective teen volunteer, we want to hear directly from you about your interest in volunteering with us, either by phone or via the link at the bottom of the page. Program volunteers must be available a minimum of one to two hours each week, on the same day and at the same time. New volunteers receive their assignment and schedule following their attendance in a volunteer orientation and training session. Volunteer assignments and schedules are based on interest, experience and availability. The first semester of volunteering is considered a trial period. All volunteer opportunities, program-related or otherwise, require attendance at our introductory volunteer orientation and training session, which is scheduled each month. Call us for dates and times. Volunteering in program, as a barn/equine volunteer, or as a farm/facilities volunteer, involves moderate physical activity. Please be sure you are comfortable with the physical aspects of the role you select. Due to the nature of the services we provide, STAR Equestrian Center director reserves the right to make the final determination as to the appropriateness of any and all volunteers for our organization.